Nice Gaming Advice – Welcome to Nice Gaming Advice. Come on in for advice on mobile games, Nintendo games (Wii and DS systems), and Some Fun Gameplay. This blog is also full of personal game reviews, and gaming tips. The Ps4 has recently been added as a gaming platform for this blog, expect some gameplay from that later in 2017! Welcome to Nice Gaming Advice. Come on in for advice on mobile games, Nintendo games (Wii and DS systems), and Some Fun Gameplay. This blog is also full of personal game reviews, and gaming tips. The Ps4 has recently been added as a gaming platform for this blog, expect some gameplay from that later in 2017! Enter your email address to follow this blog and receive notifications of new posts by email. Every follower counts! NiceGamingAdvice: Real Gameplay. Advice that works. Gaming that’s fun. This is a reminder, or rather an announcement, that I will be away from this blog during the upcoming winter break. Before the break though, I will try to post at least one post, and many to follow, the long-ish absence. Thanks for supporting this blog, and Happy Holidays! Disclaimer: This picture was found via google, and is in no way coordinated with my own camera roll and/or my source of pictures. Take a look at the things to come to NiceGamingAdvice! Want to know what will be upcoming to this blog? Just take a look at the recent post about what will be coming in 2017! Too lazy to just look for the post? Simply Click Here to get there faster! I will be doing partner posts (in videos, or on writing and editing), with people I know. Lastly, I will be attempting to clean up the look of the blog eventually… does anyone know how to do countdowns (like for blog anniversaries) , or links to my friends’ blogs? Let me know in a comment on one of my posts! Thanks! SUMMER IS COMING, POSTS WILL COME SLOWLY, BUT DON’T THINK THAT I’VE STOPPED, OR THAT I’M JUST ON THE TV. Because, I’m actually really busy! Find out more now! Something’s been going on with my computer, so I won’t be able to post an actual blog post in the next few days. I’m doing this on my phone, which takes forever by the way! I will fix the problem though, hang tight! Of course this game has to be talked about on NGA! It’s the leading app in the app store right now, due to the popularity of toys like fidget spinners and cubes! I can’t believe that this is real! Clash of Clans finally got a new update that trumps the rest of the previous ones (Yeah, even Clan Wars) by a long shot! Here’s What’s Happening on DamonDaBoss’s blogs! I'm just a guy who likes to play a variety of different video games, and all I want to do is to help YOU learn about new gaming strategies, and to have you find new ways to enjoy your favorite games! Clash Royale will be the main focus of this blog, as it is my favorite mobile game (since it's the one I play best). Also, I will post in-game images ,videos that go along with the posts, and, of course, some advice. 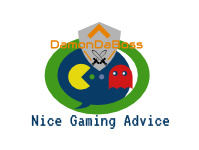 Stay tuned for gaming advice, and more, on this blog, and welcome to NiceGamingAdvice! 2016-2017.